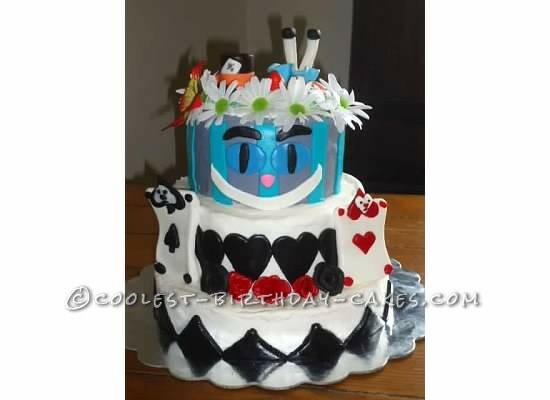 This Alice in Wonderland cake took some creativity, which I don’t always have a lot of. I started working on the fondant pieces about month a head of time and ended up not liking the results so I had to change my ideas around and make new pieces. This cake was a three layers and I used cake mixes. Once the cakes were baked and cooled I covered them in a crumb topping to help seal before I put the final frosting and fondant on top. The first two layers are just butter cream frosting that I smoothed out once it was dry and the top layer is covered in fondant, this was the easy part. 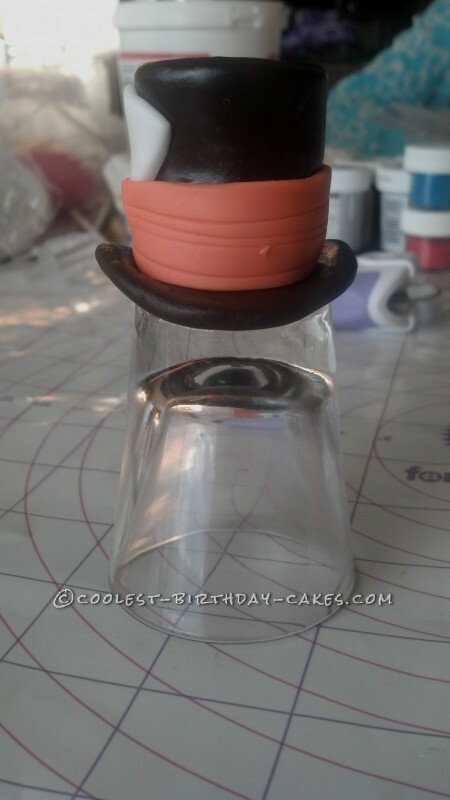 The top layer was added last since I was covering in fondant. I used piping gel to glue all my pieces on. 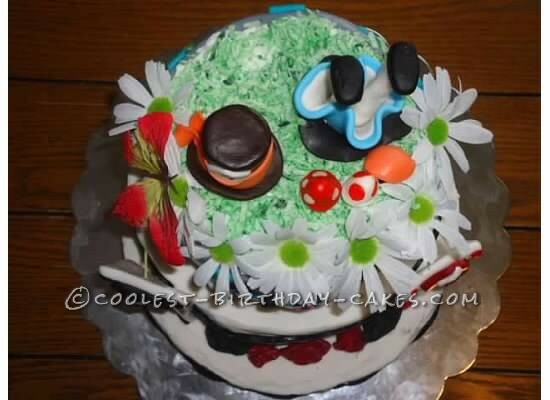 The top of the cake is covered in green colored coconut to look like grass. 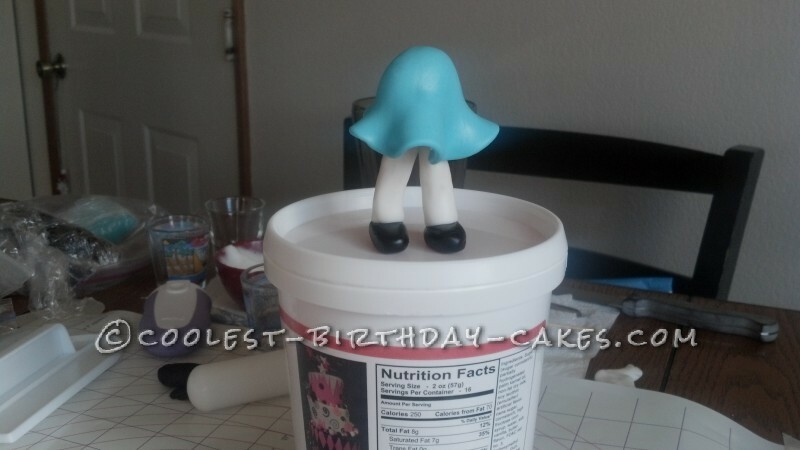 I inserted Alice’s legs that I made out of fondant and gum paste so it looked like she was falling down the rabbit hole. 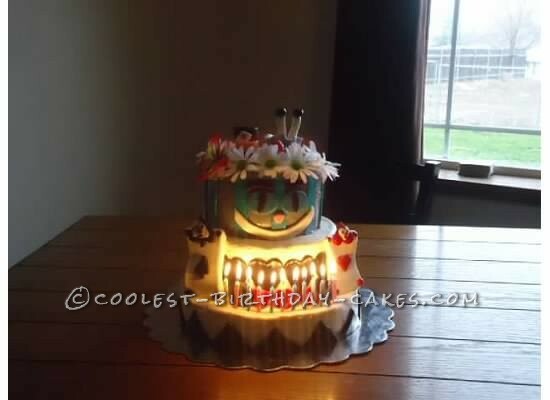 Everything on this cake was edible except for the butter flower and flowers at the top. I felt the cake needed something else and added these items for the finishing touch. If I would of had more time I would have made these out of fondant and gum paste as well. My daughter and her friends loved this cake and I was very happy with the end results. I hope you like it.